It’s getting bigger all the time, GPS/GNSS business. 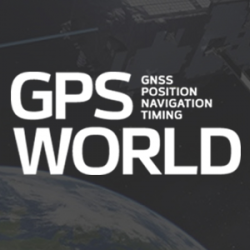 And coming along in its wake, starting to grow like a sproutly little brother, is GPS anti-jamming, to safeguard the signal in various scenarios. Anti-jam technology sales revenue will increase at a compound annual growth rate (CAGR) of 7.0 percent between 2016 and 2022, while volume goes up 10.1 percent. Major drivers at the moment lie in the military sector, but that could well change in the next decade. The proliferation of low-cost GPS jammers is seeing to that. Meanwhile, any armed force that puts its faith in guided missiles now feels the acute need for a secured weapons system, something not easy to accomplish. 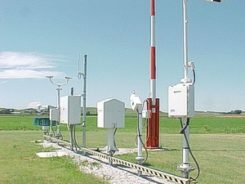 Flight-control applications are especially vulnerable. North America is the largest and most dynamic sector of the anti-jamming market, given its powerful military and the presence of three top players in the anti-jamming market for GPS: Rockwell Collins Inc. (U.S.), The Raytheon Company (U.S.) and NovAtel Inc. (Canada). Other companies cited by the report, and given each their own subsection, are Cobham, Mayflower Communications, BAE Systems, Furuno Electric Company, Harris Corporation, Lockheed Martin, Thales Group, Boeing and u-blox. Aside from looking — or deriving, more often — numbers according to Anti-Jamming Technique (nulling systems, beam-steering systems and civilian systems), the report does not concern itself overly with technical details. These usually are of little interest to investors, the report’s main target. Thus it will have little of interest for engineers, except for those practicing business development. MIchael Ritter, President & CEO, Novatel Inc.
1 Comment on "GPS anti-jam increasingly big business"
work with transport of cargo in Brazil, growth of cargo theft on Brazilian roads, bandits use jamming to block the GPS signal, which the prediction of an anti jamming go to the civilian population low cost?